Son: Mom! what's a gf? 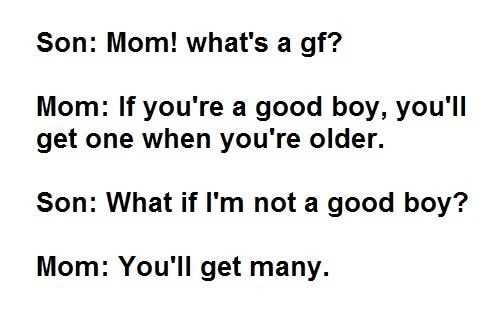 Mom: If you're a good boy, you'll get one when you're older. Son: What if I'm not a good boy? Mom: You'll get many.